Home › Speakers › Dawn I. Velligan, Ph.D.
Dr. 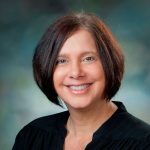 Dawn Velligan is a Professor in the Department of Psychiatry, Chief of the Division of Community Recovery, Research and Training, and Henry B. Dielmann Chair at the University of Texas Health Science Center at San Antonio. She received her training in clinical psychology at the University of California and Mental Health Clinical Research Center for Schizophrenia in Los Angeles. In 1989, Dr. Velligan moved to Texas to assist in the development of a psychosis treatment and research unit. Dr. Velligan’s internationally recognized research program focuses on the development and testing of psychosocial treatments to improve medication interest and follow through and outcomes in schizophrenia. Dr. Velligan has dedicated her career to developing, and delivering state-of-the-art psychosocial treatments to make lives better for those with serious mental illness. Her latest work has included the development of shared decision making coaching at a Transitional Care Clinic (TCC) to improve engagement in care for individuals transitioning out of emergency departments or inpatient psychiatric units. Dr. Velligan is author of numerous publications in high impact journals and she has received grant funding from the National Institute of Health, The National Alliance for Research on Schizophrenia and Depression, industry and private foundations. She frequently serves as a consultant to industry and scientific investigators in the areas of symptom assessment, medication adherence and follow through, cognition and outcomes.